The creators of this hope to build a more free and open entertainment internet. They realize that a lot of the big players like Google, Amazon, Facebook and more hold a lot of user data and traffic. This new Tron blockchain network hopes to decentralize this and allow it’s users to benefit more directly from their own content. So people like musicians and video makers will be able to create content and receive payment directly for their work in tron tokens. This is different them having to go through a third party like google or facebook who automatically takes a piece of the pie for themselves since users are on their network. CLICK HERE FOR FREE BITCOINS NOW!!! 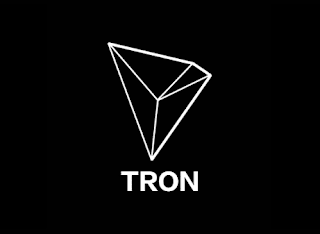 Why should you buy Tron #trx cryptocurrency over other cryptocurrencies being offered? Well first it has a great team behind it. The team is being guided by Justin Sun. You may ask what in the world is Justin Sun. Well let’s briefly review his track record. He graduated from Pensylvania State, and was the former chief representative in China for the Ripple coin. He is the protégé of Jack Moll, the guy behind Alibaba one of the biggest ecommerce websites in the world! Justin Sun also worked on the China app Peiwo app that has over 10 million users. So this guy along with some others on the team bring some force , experience and reputation to the team. He and others working also realize that Tron’s dream or objective won’t be accomplished overnight. They anticipate it taking up to 8 more years for completion of the full plan. In other words they are in it for the long run! Price Predictions for TRON (TRX) this Cryptocoin? Well upon it’s first release it was at .002 cents and then it hopped up to .045 on dec 19, 2017 around 2150% increase. This is quite impressive. It has since then gone to .082 cents USD as of January 19 2018. So there has been almost a double in increase since Dec. it does look to be going up, steadliy. So if a person was interested in it now might be good time to take action.